YANGON — “Our ethnic group didn’t take up arms so we have been bullied a lot. I couldn’t stand it, so I joined this group to do my fair share,” said female medical soldier Sein Sein of the Shanni Nationalities Army (SNA). Founded in July 1989 on the India-Myanmar border, the SNA set up a headquarters in 2009 on a mountain called Nwe Impha at the border. It is said that the SNA was born of Nwe Impha. In the Shanni language, nwe means mountain and impha means stone mat. 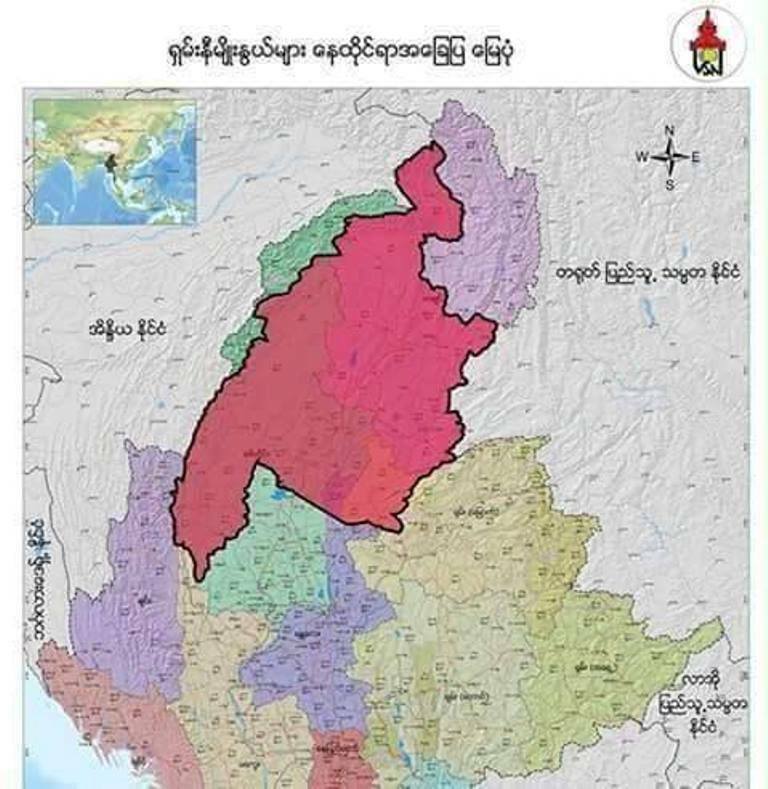 The armed group now has bases in Hkamti, Homalin and Tamu in Sagaing Region which borders with India. It is also active in Mohnyin, Mogaung, Waingmaw, Hpakant and other parts of Kachin State. It has three brigades—891, 972, and 753—and over 1,000 troops. The SNA is led by Sao Meim Liam and Sao Khun Aung, and has five objectives—to gain statehood, to fight against drugs, to establish a genuine federal Union, to build unity among all the Shan sub groups, to develop the Shanni region, and to conserve ecological balance. 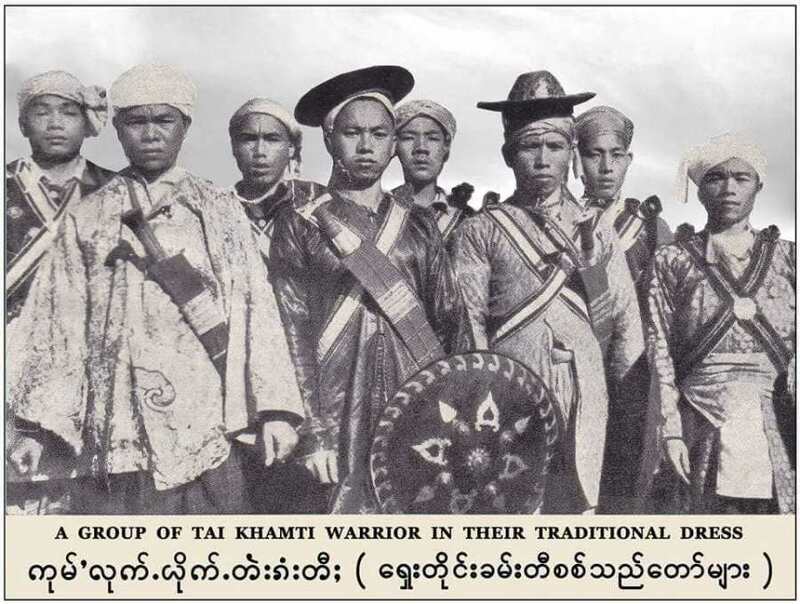 “Though we are not in Shan State, we are a Shan tribe. We live in Kachin State and Sagaing Region, so we are not consolidated. The Kachin say we are a vassal of the Bamar, and Myanmar government troops say we are the Kachin armed groups’ informants. We formed the SNA to claim the fundamental rights of our Shanni people,” said the commander of Brigade 891 Lt-Col Sai Aung Meim. Shanni people have had their own monarchs since time immemorial, he said. Mohnyin Saopha Sao Long, Wuntho Saopha Sao Aung Myat and Hkanti Long (Putao) Saopha were most prominent Shanni saophas, or rulers. After Myanmar fell under British rule in 1886, Wuntho Saopha Sao Aung Myat fought back against the British forces, but was eventually quelled by the invaders. According to Shanni people, Myitkyina, Mohnyin and Bhamo districts in today’s Kachin State, and Kalay, Hkamti, Mawlaik, Katha and Tamu districts in today’s Sagaing Region originally belonged to them. But when the Bamar planned to regain independence together with the Frontier Areas from the British, ethnic groups demanded the right to secession. 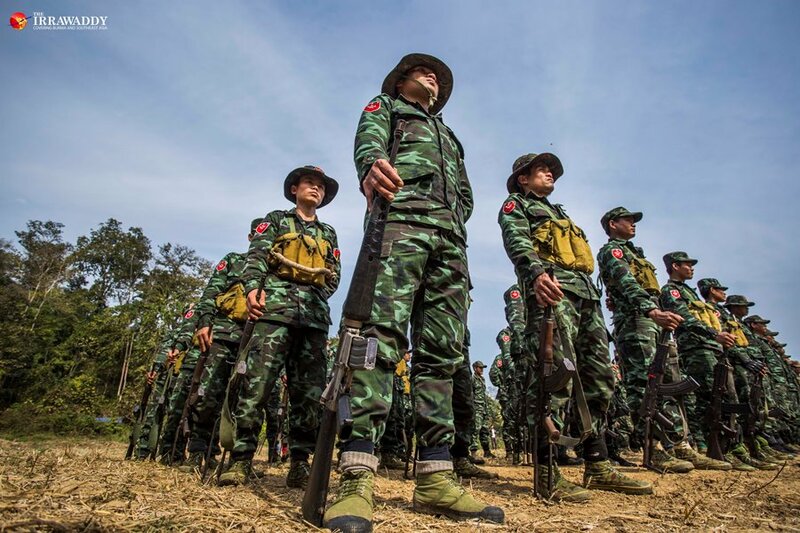 The Bamar government’s Anti-Fascist People’s Freedom League (AFPFL) and the Kachin gambled Shanni State for their political ambitions, said Shanni people. Similarly, Kalay, Hkamti, Mawlaik, Katha and Tamu districts were incorporated into Sagaing Region which was formed according to 1974 Constitution. As a result, Shanni State was completely removed from the map of Myanmar. “We are not demanding a new state, we just want to get our statehood back,” said SNA Private Sai Mein. Sai Lu Jien, a Shanni ethnic resident of Homalin Township in Sagaing said he believes the SNA can fulfill the statehood dream of the Shanni people. “We believe that SNA can get us a Shanni State which existed for a long time in history. And we are ready to provide any assistance for the SNA, anytime,” he said. 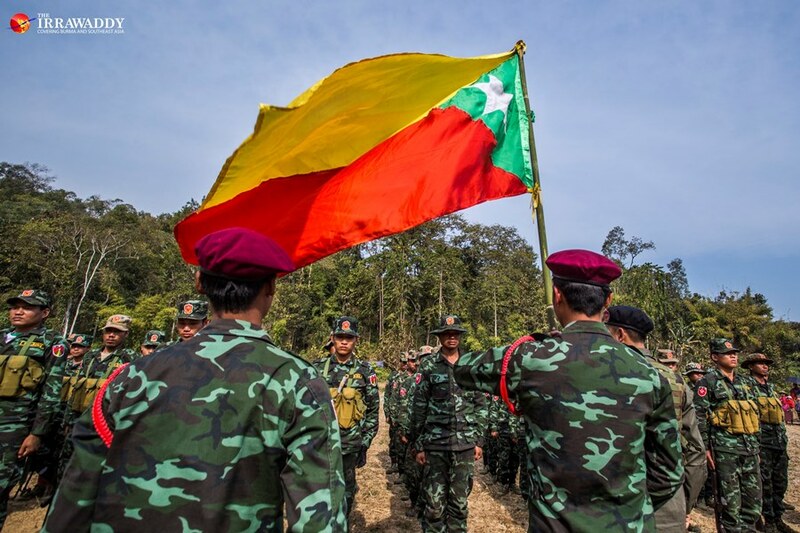 However, the SNA will have to negotiate with the Kachin Independence Army (KIA), the Kachin and other ethnic people as well as the government and the Myanmar military (or Tatmadaw) about their statehood dream. Political analysts say the negotiation process will not be smooth. “They have the right to demand, but whether it is possible or not depends on the reality,” said ethnic affairs analyst U Maung Maung Soe. An AFPFL conference held prior to Myanmar’s independence laid down seven requirements that ethnic groups had to fulfill in order to claim self-administration. The SNA said the Shanni ethnic group meet all those seven requirements, including having a clear geographical border, a language that is not Burmese, an ethnic identity, a distinct culture and an appropriate population for economic sustainability. “We will try to build unity with Shan from other regions. Sagaing Region and Kachin State are adjacent to each other. We Shanni deserve more than self-administration, so we are demanding statehood,” said Lt-Col Sai Aung Mein, who is also on the central executive committee of the SNA. While Shanni people are dreaming of their own state, there is still a need to unify the Shanni political forces. Although there is so far only one Shanni political party, the Tai-Leng Nationalities Development Party (TNDP), Shanni forces in Kachin and Sagaing are also planning to form another political party which they are tentatively calling the Shanni Nationalities Party. 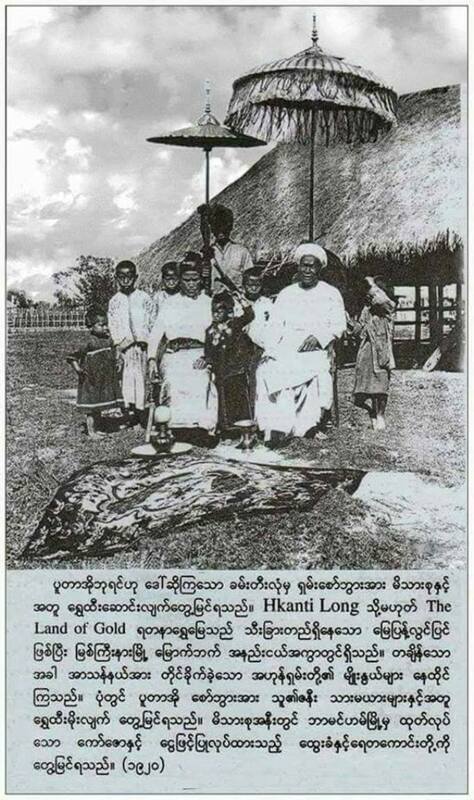 “It is the Shanni people who frequently conquered the Burmese empire. It is our Shanni people who established the confederation of Shan State,” chairman of the TNDP U Sai Htay Aung told The Irrawaddy in July 2018. “Only later, we became less united. Then we fell under colonial rule. The British suppressed Wuntho Saopha U Aung Myat when he rose against them. Our territory was divided in two —Kachin and Sagaing — after independence. As Shanni were put into separate administrative areas, they have become distant,” he added. 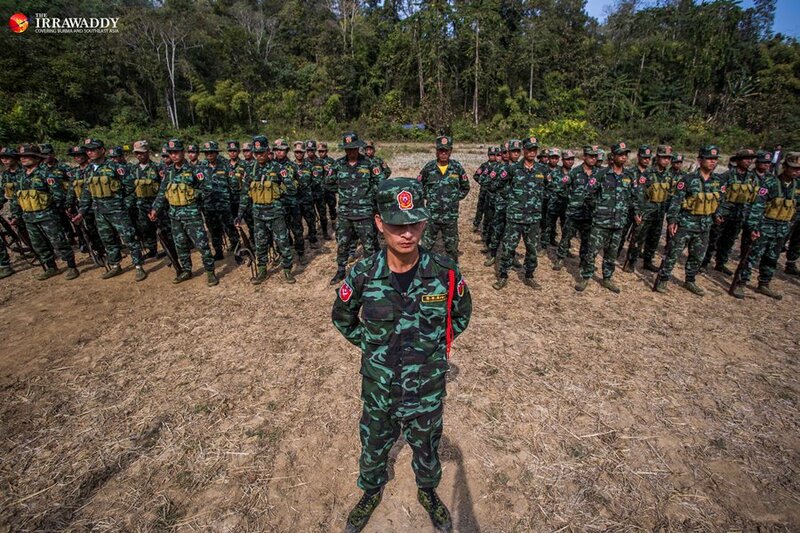 While the government and Tatmadaw are making efforts to persuade ethnic armed groups to sign the Nationwide Ceasefire Agreement (NCA), the SNA has been left out. Other ethnic armed groups have called for full inclusion in the peace process, yet they are keeping silent about the SNA’s demand. Shanni activists accept that obtaining statehood is a long journey for Shanni people, many of whom lack political awareness, and many of whom are inflicted by the scourge of drugs. “We are working to be able to sign the NCA. Only by signing the NCA, we will be able to engage more in the Shanni nationalist movement. We have to be included in the NCA framework,” said Lt-Col Sai Aung Mein. While the government has a policy not to recognize new ethnic armed groups, it should take prompt steps to put out the fire before it grows out of control. If the government decides against inviting the SNA to sign the NCA, they should at least hold political dialogue in order to prevent the problem from getting worse with time. “If the government does nothing in response and it [the SNA] becomes weak automatically as time passes by, it is no problem. But if the government tries to address it only after it grows bigger like the AA (Arakan Army), which has expanded from a few dozen to several thousands, it might not be easy then. The government needs to see this problem as an urgent political issue. If it does, it will be able to prevent the fire before it blazes,” said U Maung Maung Soe.